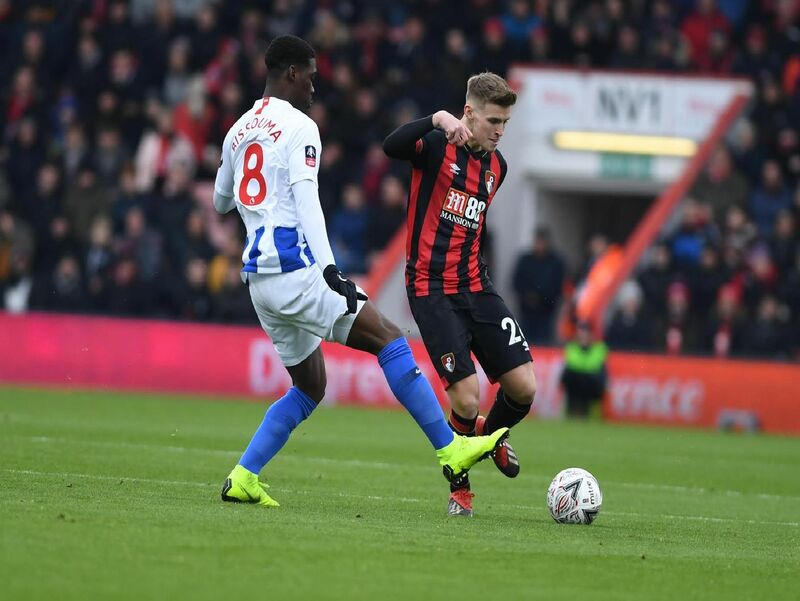 Brighton & Hove Albion progressed into the fourth round of the FA Cup with a 3-1 win at Bournemouth this afternoon. Here's how we rated the players of both teams. Albion progressed with goals from Anthony Knockaert, Yves Bissouma and Florin Andone. Cherries midfielder Marc Pugh had made it 2-1 after Brighton led 2-0 at half-time. Albion debut after joining from Sunderland in the summer. Solid when called upon and made decent save from Brooks at 3-1. No chance with Pugh goal. Albion's captain was solid and dependable as ever. Subbed late on. Excellent again. Threw himself in the way to block Ibe's shot just before Albion scored twice in quick succession. Superb header down from Knockaert's corner for Andone to make it 3-1. Blocked Ibe shot after Bournemouth drove forward. Had to be alert against the threat of Bournemouth's Mousset and Ibe up front.